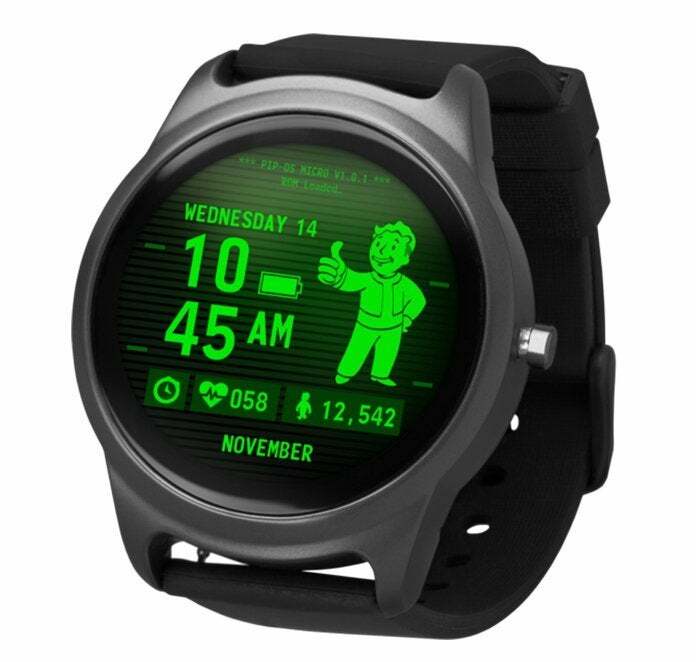 Back in November, One61 Studio and Bethesda announced the Fallout Superfan Smartwatch complete with several watch face options (including Pip-Boy of course), fitness and heath monitoring, and feature / notification integration with both iOS and Android. It was also pretty affordable as far as smartwatches go at $149.99. However, you can get one from Merchoid right now for $139.99 with free shipping at the time of writing. Stock is limited, so you really need to hurry on this one. Crime Fighting: Unlock exclusive content by fighting crime as you achieve health goals with the step tracking feature. Patrol Reminder: Always on the go, your watch will alert you when you’ve been sedentary too long and as a reminder to patrol the area. Sleep Monitoring: Make sure to rest up before your next battle with the sleep monitoring feature that detects your heart rate. *Messaging compatibility: Please note, iOS and CDMA networks (ei Verizon, Sprint)does not allow the watch to send or reply to messages. You can view (only view) your SMS messages in Notifications on your watch. **Not compatible with some Motorola devices.